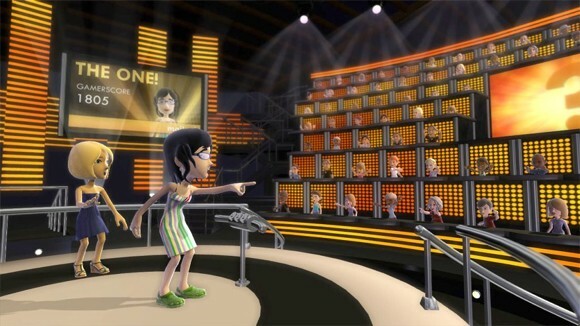 This is a game that you play live with your xbox avatar against players around the world for real prizes. So addictive and lots of fun sort of like a trivia game. What is 1 vs 100 Live? 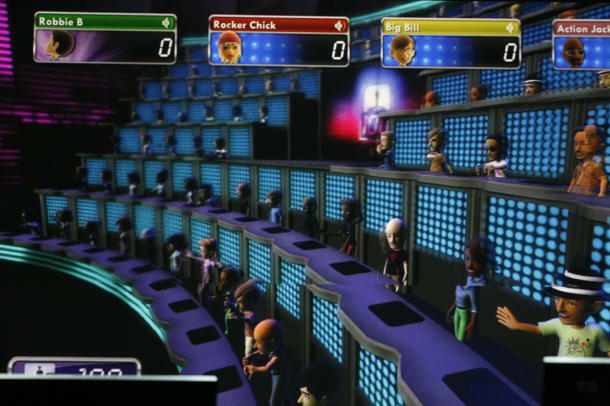 1 vs 100 Live is a two-hour live game show. Each episode features live gameplay between players, prize winning, multiple rounds, plus a host who comments on the action. What is The One and The Mob and how can I be one? 1 vs 100 Live has a featured player known as The One. The One plays against the 100 players who make up The Mob. Players sign up for a chance to be selected as The One or in The Mob when they first enter the game lobby, and a new One and Mob are selected at the beginning of each round. Players qualify to be The One or in The Mob based on scoreâ€”Season Score, Weekly Score, or Previous Round Score. The One and The Mob compete for prizes such as Microsoft Points and Xbox LIVE Arcade games in 1 vs 100 Live. Players who are not selected as The One or The Mob play in The Crowd. Played it a few times when it was in Beta... is it still beta? Didn`t really enjoy it all that much. Wasn't this an actual game show on TV? Its not in beta anymore. From November to February its on everyday. Its base on a real game show. What Microsoft did was pure genius by using your avatar in xbox live for playing the game live with real prizes. Just in Canada yesterday there was overs 40,000 people playing the game. It runs very smoothly with no interuption except the few commercials they run every 9 questions. If you played Acrophobia in the late 90's on the internet you will like this game.